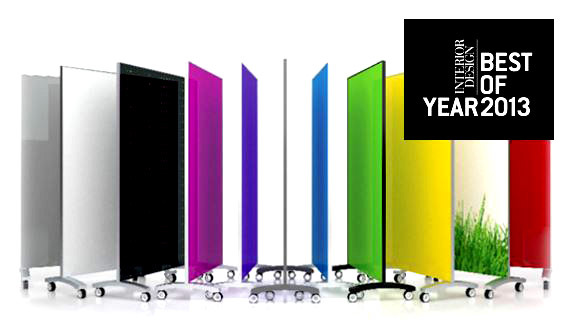 Complete Line of Professional Glassboards for Businesses, Colleges, Commercial Properties, Factories, Fitness Industry, Industrial, Institutions, Hospitality, Hospitals, Hotels, Houses of Worship, Offices, Property Management, Rec Centers, Restaurants, Residential, Retail, Schools, Universities, Warehouses, and more . 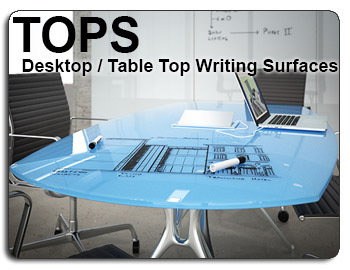 . .
Glassboards : Our elegant Glass Boards add contemporary sophistication to your working or learning environment, as well as one of the most versatile, functional platforms for your presentations. The design offers superb optical quality with excellent depth, contrast and light absorption. The silky-smooth glass surfaces never stain or ghost, promising fast, thorough cleanup and the perfect showcase for presentations or brainstorms. Great for businesses, schools, colleges, and universities. 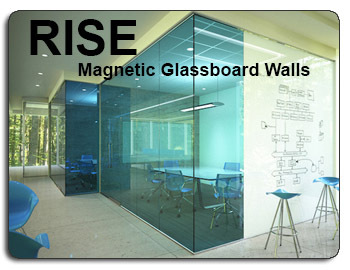 Clarus Glassboards - Promised the most design friendly board ever! Available in a variety of classic and bright, colorful frames and popular glass colors. Compatible with any dry / wet-erase pen, permanent marker, grease pen, etc. 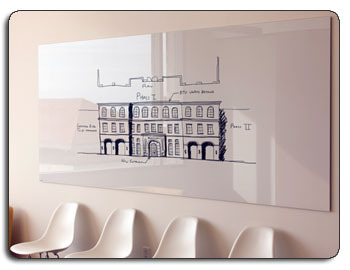 Made from the highest quality components, Clarus Glass Whiteboards are made from 1/4-inch tempered safety glass that is 4 to 5 times stronger than normal glass and lasts the lifespan of your wall. Contrast that with traditional whiteboards, which need to be replaced every few years. 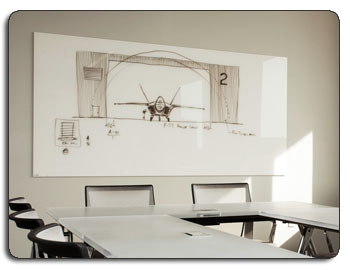 Clarus Glass Whiteboards are mounted one-inch from the wall using durable stainless steel standoffs, creating a sense of depth and distinction in the room. 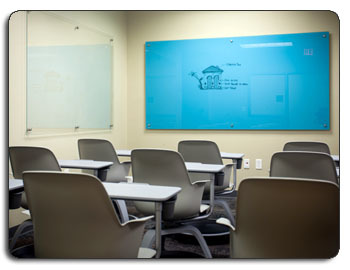 Clarus Glassboards are available in the below standard sizes. Glassboards with technology: The Clarus Interactive Package powered by eBeam, includes a sleek receiver with lightning-fast response time and pixel-perfect precision. It works with the ergonomic eBeam stylus, designed for natural and comfortable writing, drawing and computer navigation. The eBeam LiveWire adaptor with built-in software and memory. 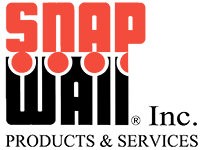 Clarus Interactive works with standard projectors, Windows Computers, all Microsoft Office applications, industry-specific software tools and more. Contact Snap Wall for custom designed and professionally installed glassboards for your business, industrial, or institutional setting. 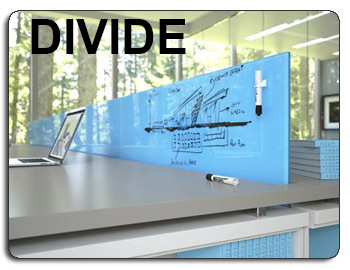 The most design friendly mobile collaborative board ever allows you the freedom to create an original statement by combining a countless number of design styles with this architecturally inspired glassboard.